Insurance is a tricky thing. In essence it’s a bet. You’re buying a service, betting you’ll need it eventually (else why did you spend the money?) while praying that you won’t. Meanwhile your insurance company is taking your money, betting you never ask for it back by having a claim. Yet it’s not a simple game of chance, in which you have no control of the outcome. Granted you don’t have complete control – bad things do happen to good people – but you do have the ability – using training and good seamanship – to substantially affect your level of risk. That reduces the chance that you’ll actually USE that service you’ve bought and paid for by the sweat of your brow. Which leads to an interesting quandary: At what point have you sufficiently lowered your risk of an insurable incident taking place, such that it becomes uneconomical to continue paying for insurance? There’s no simple answer to that question. If you own a boat that’s “worth” $5,000, and $5,000 represents one-half of your total net worth, you’ll probably feel it’s worth buying insurance. That same boat in the hands of a skilled cruiser of moderate means, though, might be thought of as a sunk cost. If the worst happens and the boat is lost (I’m not talking about liability insurance here, obviously), the loss would certainly be unfortunate, but not devastating. That cruiser might “self-insure”. But back to the first case, where the replacement value of the boat is half of everything that person owns. At that point, the cost of insurance is also a significant percentage of that sailor’s net worth. Paying for insurance might even make the difference between actually being able to USE the boat – go cruising – or not. And if you’re not going to use it because you spent your disposable income on insurance, why have it in the first place? In our case, the question is currently academic: We financed half the purchase price when we bought Sionna last year , and understandably the man holding the boat loan would like us to have insurance, so that he gets paid even if the boat is lost. Besides, our cruising plans for the next year include having the boat in the Hurricane “box” (between roughly Jacksonville FL and the Caribbean island of Granada) for at least the next two years. Pretty hard to get out of the way of one of those beasties. So we’re insured. But many cruisers don’t insure, or they insure for catastrophic losses only. The reasoning (and I think it’s largely valid) is that if you have a good boat, well maintained and equipped, and conscientiously operated by a competent, well trained crew, you can nearly eliminate all the most common incidents that we buy insurance for. You then either buy catastrophic insurance for that one-in-a-million chance that you’ll meet a “storm of the century” during your time aboard, or you “bet” that you won’t meet that storm, or that you’ll be able to mitigate its impact. It’s a risk, either way. So is life. Are the experiences of the lifestyle and the adventures gained sufficient to justify the risk? Like Ellen said, it’s a big conundrum! We have insurance though, as I prefer not to lose the full value of our boat. I worry a lot less about the total loss of the boat than I do about the far-more-likely possibility of a partial loss – – lightning strike, for example — that would do thousands of dollars worth of damage. And the fact that even though our finances would allow us to replace the boat with only minor to moderate pain, the emotional impact would be hard to determine. 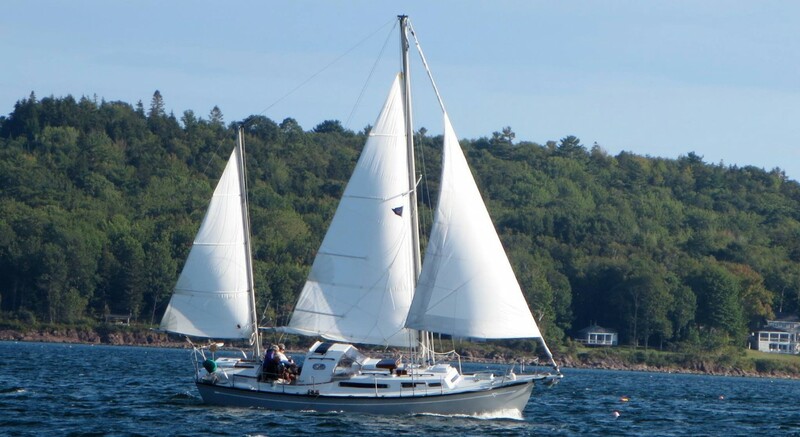 We have significant sailing experience and own our boat free and clear; still, we insure. Our boat is mortgaged as well. We hope we can pay her off before we leave, but even so, we will likely insure. Like the comment above, I would be more concerned about a partial but significant loss than the entire boat being lost. On the other hand, if we lost our boat, we would not be able to replace it without going back to work or taking that money out of our retirement savings. At our ages, that’s not a very good idea. So I guess the insurance man will be getting our money. Big. Sad. face. We’re fully insured for a host of reasons but the only claim we’ve ever had to make was when someone stole our portable generator (thank goodness!). Sounds like the votes are in for insuring the boat! Thanks all for the input. Curiously, a couple weeks ago Nicki and I were driving home from visiting family, and were hit by/hit a deer – common here in Maine. Our auto insurance has a $500 deductible, so we were out of pocket $500 – but the insurance company will pay an additional $3200! That’s a total of $3700 repair bill for a fairly minor accident (the car was still perfectly drivable – we just couldn’t open the hood!) – on a vehicle with a retail value of only $4700! That one claim was more than 4 times the insurance premiums we’ve paid on the car in the last 4 years – so I’d say we won that bet!